I’ve been very busy for the last months, although primarily it has been administrative things, many of them connected to moving my grants to a different institution. It was very necessary, but also very time-consuming, depressing and annoying, and didn’t really make for worthwhile reading. That’s more or less taken care of now, so back to “regularly scheduled programming” we go. I’m currently in San Francisco to attend the Society for American Archaeology (SAA) 80th Annual Meeting. I’m giving a paper in a very interesting Arctic session on Saturday morning. 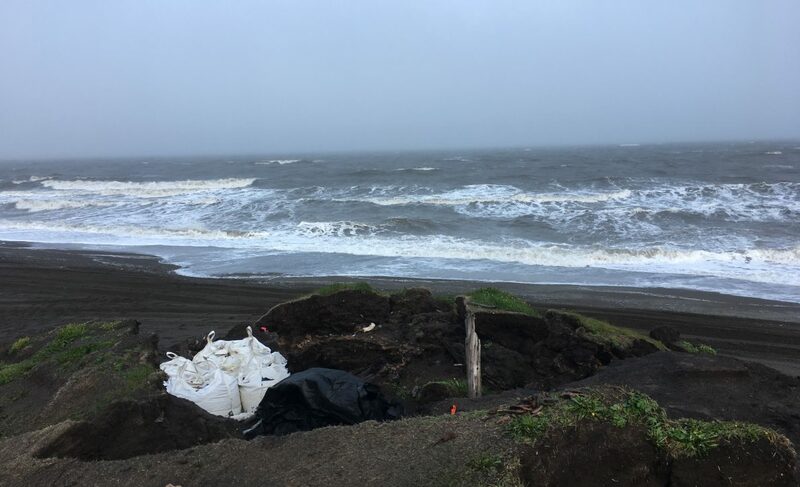 The paper is on global environmental change threats to North Slope sites, and the urgent situation this creates with regard to the imminent loss of the archaeological and paleoecological information they contain. Even some archaeologists who either haven’t worked in the Far North or haven’t been in the field there in the last 10-15 years don’t realize that things have changed drastically and this is a crisis. Of course, this session is opposite a very cool IHOPE session into which it would have fit equally as well. Sigh. Someday someone will invent a meeting scheduling software that will minimize such conflicts. Next Next post: DNA results from the North Slope published!